Congratulations to our own Sgt Esther Taylor RAFAC, who has completed her residential training, marking the end of her probationary period and is set to return to Squadron as a full Sergeant. Through the combined efforts of members of 1082 (Brimington & District) Squadron, we have smashed our target fundraising amount of £200 by raising a total of £1000 during a sponsored abseil!!! Ashgate Hospice was chosen as a charity because they helped our own Warrant Officer Richard Snell through his last stages of his fight with cancer. 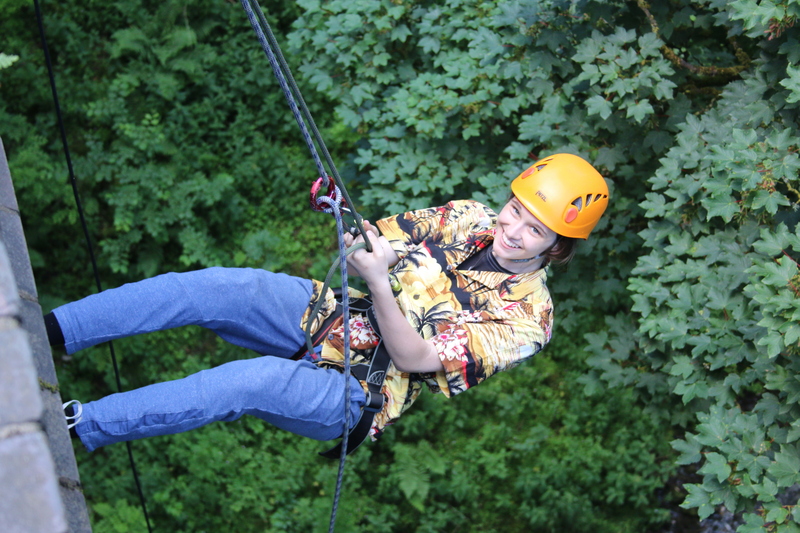 In his memory, all members abseiling wore Hawaiian Shirts – as this was Richard’s favourite item of clothing on Trent Wing Camps! 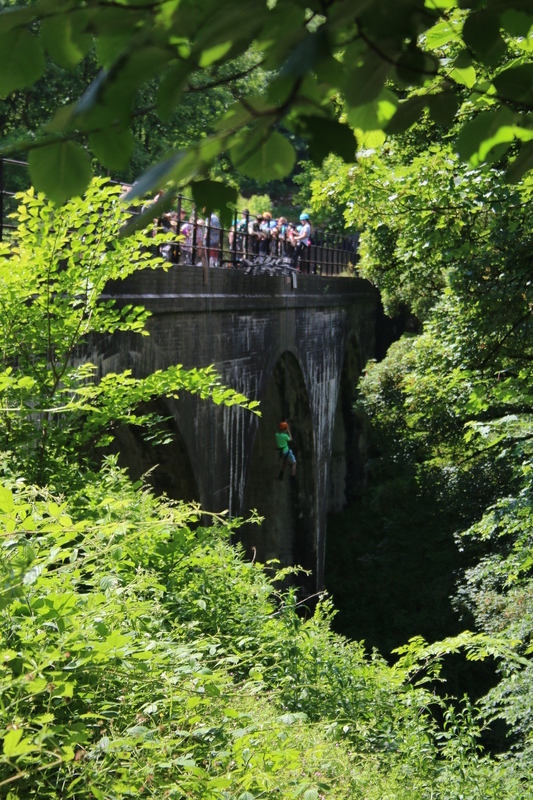 Half of our group went abseiling and the other half went walking, then swapped over. 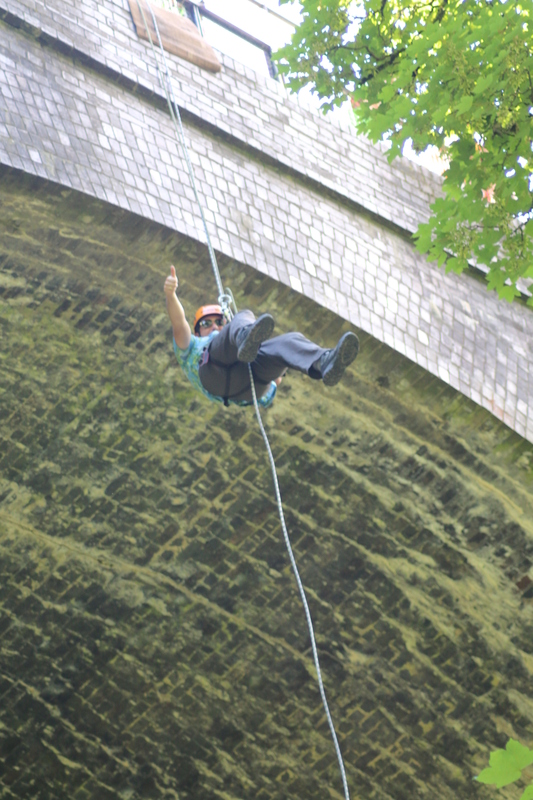 Thanks to The Adventure Service for lending a minibus and abseiling equipment to help us achieve our goals! The day went very fluidly and everyone enjoyed themselves, as you can see from the pictures! 1082 (Brimington & District) Squadron help local organisations and events through volunteering and fundraising. Other activities include Poppy Appeal selling, Staveley Armed Forces Weekend, and other local charities. If you want to join in the fun, please visit the Joining Us page! Four Cadet Non-Commissioned Officers (NCOs) from Brimington Squadron have just completed the Trent Wing NCO Course, Part II at RAF Cranwell this weekend. Congratulations to Sgt Maryanne Parkinson, Cpl Morgan Pether, Cpl Will Antcliff, and Cpl Owen Eyre for successfully completing the course and rising to the challenge! This course is ran over two weekend (Parts 1 and 2). Part 1 was completed earlier in the year and saw the cadets learn leadership and team work theory. The second weekend just completed saw the cadets putting their new found techniques in to practice in a series of leadership, team work, trust and communication exercises. Cadet NCOs organise the day to day preparation of activities ready for staff to run training, so the activity can begin on time with the right people, in the right place, at the right time, with the right equipment. A cadet NCO also needs to be able to lead by example and mentor less experienced cadets to share their knowledge and experience. It’s a great way to learn team work and leadership, and key to developing interpersonal skills for a future career. Cadet NCOs on Brimington Squadron also have additional duties. Cdt Sgt Parkinson mentors Junior NCOs, Cpl Pether helps our Cadet Warrant Officer (CWO – the highest rank a cadet can achieve) will drill, dress and discipline. Cpl Antcliff mentors the very new cadets in basic training, and Cpl Eyre helps with Public Relations – you’ll see many posts from him on this site in the coming months! Congratulations to all and many thanks to the directing staff led by Sqn Ldr Rachel Waltz in Trent Wing ATC!